The word “doula” is greek for “servant”. There are many kinds of doulas; labor, postpartum, bereavement, etc. The Labor Doula works with families during pregnancy, during labor and in the birth process, and in the immediate postpartum time, offering support, encouragement, information, comfort, and referrals as needed. 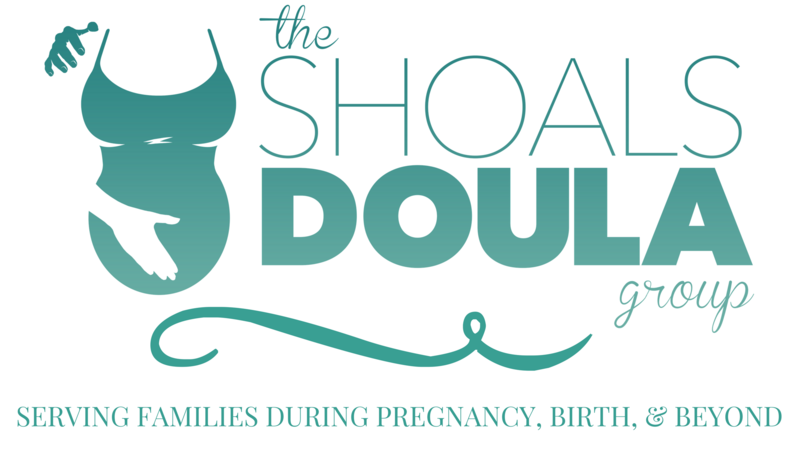 WHAT IS DIFFERENT ABOUT THE SHOALS DOULA GROUP? The Shoals Doula Group has the only practicing CAPPA Certified Labor Doula’s in North Alabama area. We work within CAPPA’s standard of practice to uphold the following (available to read individually on CAPPA’s website, www.cappa.net): code of conduct, a grievance policy, mission statement, vision statement, organization philosophy, and social media policy. We offer hydrotherapy support with our Birth Tub Rental option. This is offered at a discounted rate for our clients. We use current, evidence-based information within our practice. Our support is unbiased and we do not push our personal beliefs on our clients. We are birth professional and conduct ourselves as such. We are continually investing in our education to better serve our clients. We are proud to be the premier doula services of the Shoals. WHAT DOES A LABOR DOULA DO? A doula provides emotional, physical, and informational support during pregnancy, labor, and postpartum. We equipping birthing couples during pregnancy to have units information in regards to their birth options to feeling confident going in to birthing day. During labor, we are continuous support in the midst of transfers, shift changes, etc. We help our couples stay on their birth plan as much as possible and provide awareness, information, and support when things are going off of their birth plans. We also assist with initial breastfeeding and transitioning in to bringing a new baby in to your home. We are non-clinical professionals. Our Labor Doulas do not quality to act as a midwife or midwifery assistant, as any alternative medicine provider, or as any medical care provider. Labor Doulas do not diagnose medical conditions, perform clinical procedure, prescribe or administer treatment for medical conditions, make medical decisions for the birthing woman, or direct families to act against medical advice. WHAT ARE YOUR DOULA FEES? Our doula fees are based on each doula’s experience and education. Our fees range from $400- $800. We are happy to arrange payment plans or discuss bartering to make our services affordable for your family. We want your birth team to be complete and if includes one of us, we will work with you to make that possible! If you are interested in learning more about The Shoals Doula Group and our services, please contact us to set up a consultation. During our time together, we love to hear more about you and let you hear more about us! The doulas who are available for your birth will meet you to see if any of us are the right “fit” for your birth team. We also go over our contract to discuss all our services entail. After our time together, we give you and your partner some time to decide whether or not you’d like to hire anyone from our group. Hit the "Contact Us" tab to get in touch with us.